The weather is still holding out here in Sunny West Wales and were still catching up on a a busy season. 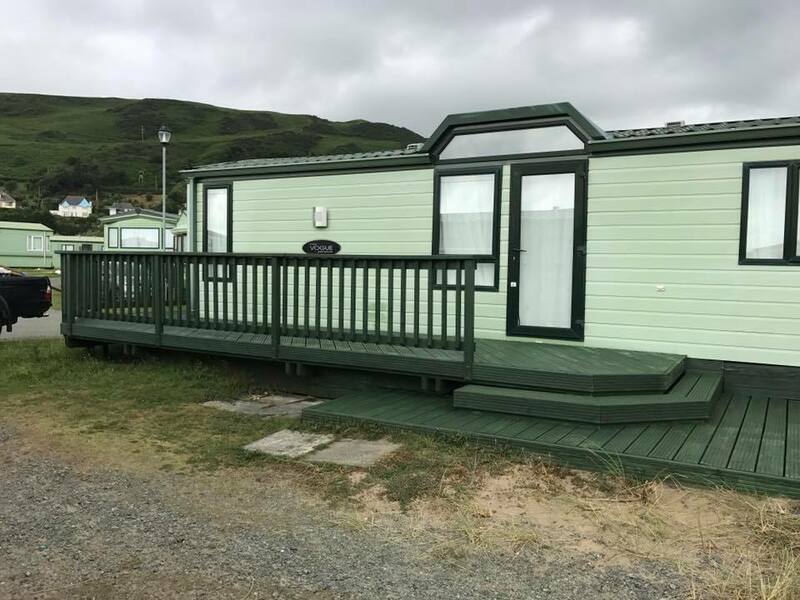 This 2.4 x 9 meter deck is located at Warren park holiday site near Machynlleth, Its sits on a 'past it best' patio on galvanised steel shoes to ensure none of the main supports are in contact with the ground. 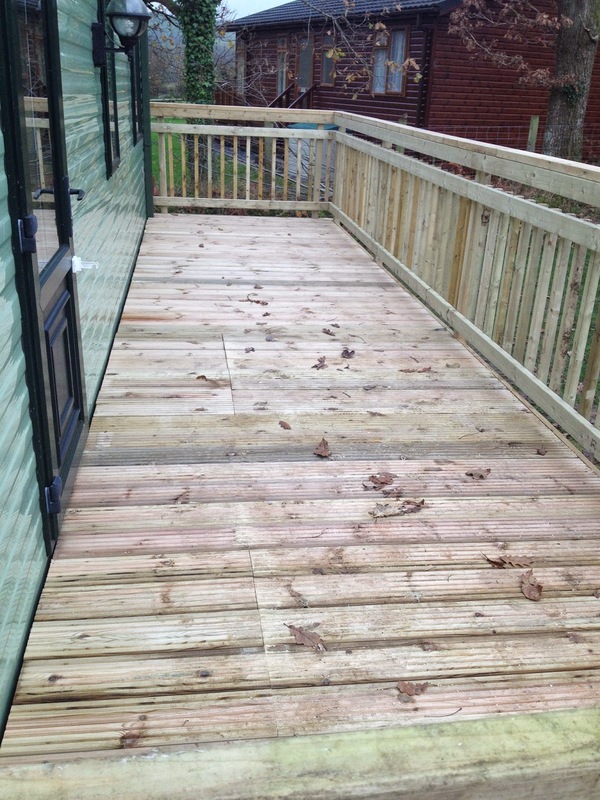 This deck has railing higher than our standards decks to ensure the owners large dog was secure on the deck! At 1.1 meters high they are in line with higher level railing heights and still finished ot our usual high standard. 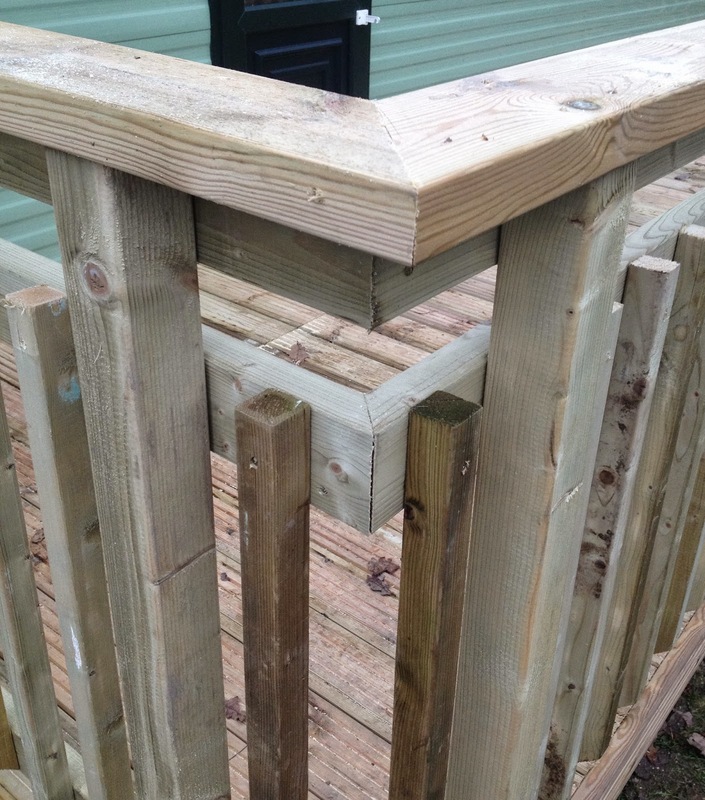 Our client wanted traditional wooden railings but with a twist. It was important for them to retain their forward facing view out of their glass fronted holiday home. We integrated these glass panels with our own railing system to produce a high finish and maintain high strength to withstand the strong coastal winds this site receives. Thanks for taking a look. 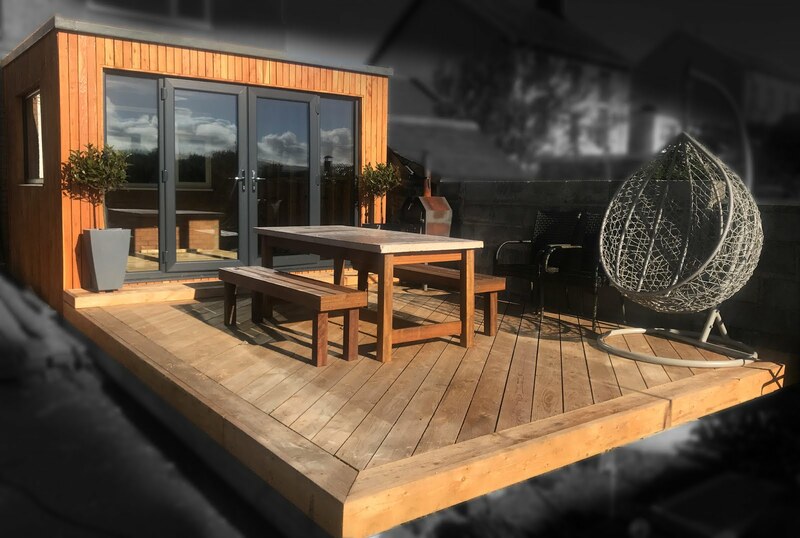 We're busy wrapping up a couple more jobs before Christmas and will be taking a couple of weeks off over Christmas, but drop us a line to get a free quote on decking or fencing jobs in the new year. 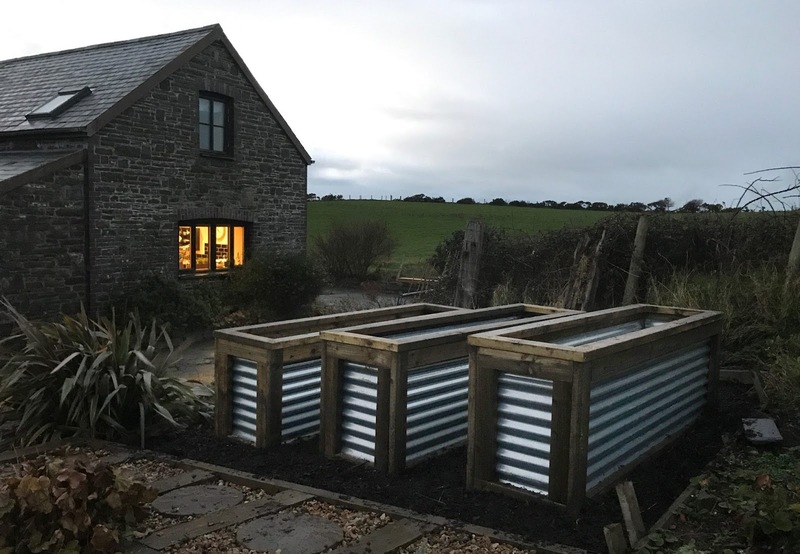 We work all year round, and the best time to work on your garden is autumn ad winter so that you can sit back and enjoy your new outdoor living space over the summer and spring!